By year end, Lutheran Health Network, a subsidiary of Community Health Systems, will have put $100 million into construction and capital and equipment projects. Those projects include getting new stretchers for emergency and radiology departments and building an orthopedics and sports medicine complex at Kosciusko Community Hospital. The health system will also have new beds by early December, a project that was originally slated to be complete in the next two years, according to CEO Mike Poore, who announced the investment news in a Thanksgiving message to employees. Last May, just after CHS announced it would give Lutheran Health Network $500 million in capital upgrades, a group of physicians tried to buy out the network from CHS. During deal discussions, old beds were cited as a concern. The physicians group ultimately failed, with CHS saying their $2.4 billion offer was at least $1 billion too little. Shortly after the group's buyout offer was rejected, CHS fired Lutheran Health Network's CEO, Brian Bauer. 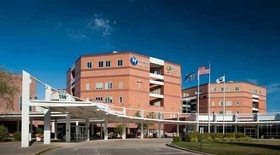 The physicians group said that Bauer had supported spending on staffing and facilities improvement but had been put in "an untenable position" for doing so. CHS claimed Bauer and the other physicians had interfered to support the doctors' own personal financial interests. More recently, in early November, CHS and Lutheran Health Network sued Lutheran Health Network's former CEO for allegedly using confidential information to bring competitor Indiana University Health to the Fort Wayne area.